No matter how simple it may be, solving mathematical equations can be a challenge for quite a number of persons. 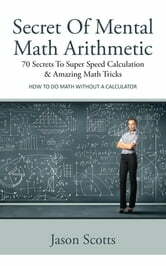 Through his book titled “Secret Of Mental Math Arithmetic: 70 Secrets To Super Speed Calculation & Amazing Math Tricks”, Jason Scotts seeks to provide the solution to those mathematical problems. The main challenge has come from the fact that most persons have become used to grabbing a calculator to solve a mathematical problem. As such, the mind has become a bit lazy and it takes a bit of prodding to get it working without having to use a calculator. The text takes everything back to basics and reminds the reader of simple techniques that they were taught in school. 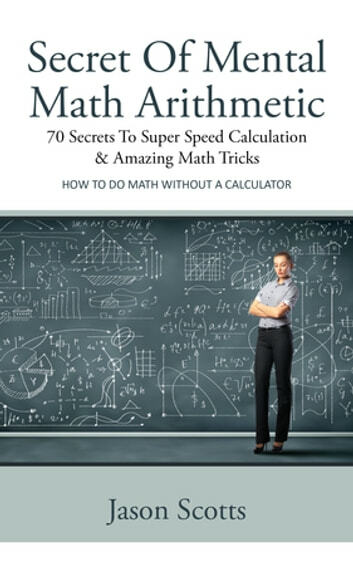 This text is a must have in any home as it can help an individual to learn how to conquer those math equations without having the need to reach for a calculator.